Remember those old-school bike computers, the single-screw plastic handlebar mount, a wire wrapped around the cables then down the fork. And that annoying little magnet sensor secured to a spoke. Fond memories, but fortunately long gone are the days of those primitive 9-function ‘computers’. Nowadays riders are spoilt for choice with crazy amounts of computing power in the smallest of units. 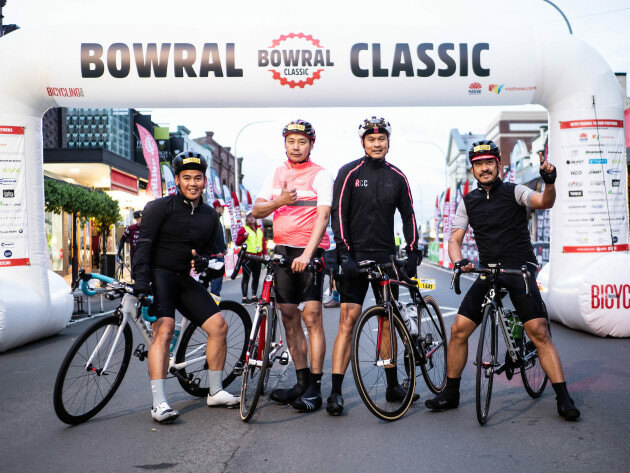 Over the past two years Bowral Classic supporting partner Wahoo have launched three of the most technologically advanced bike computers to the market – the Wahoo ELEMNT, the BOLT & the MINI. 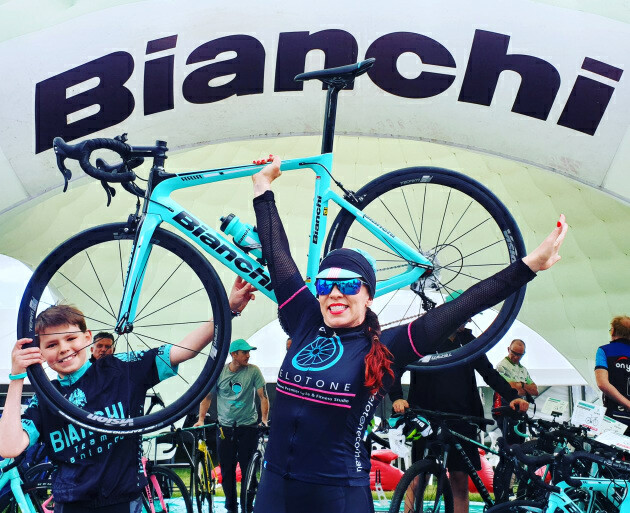 These units couldn’t be any more different to those aforementioned 9-function wired units if they tried – each offering next-level technology, they are the ultimate riding and training partners. In the lead up to the 2017 Bowral Classic it’s important to look at all aspects of your bike including your current bike computer. Is it serving you well? Is the screen bright & clear? Does it mount securely? Does the battery last a full ride? Are you getting the most from available technology? Answered no to any of the above questions? 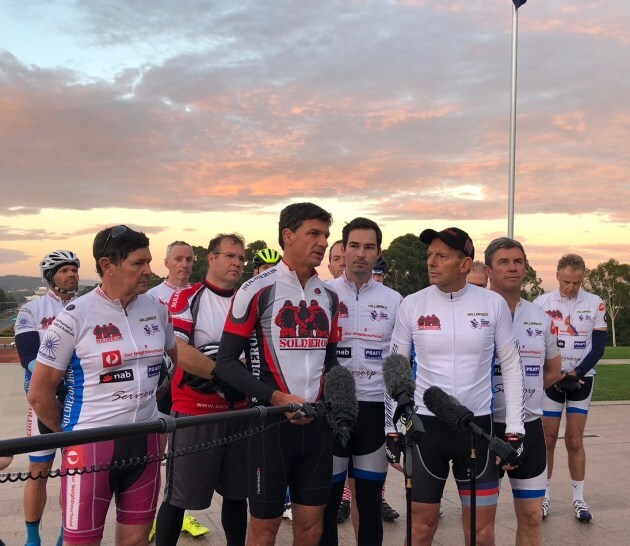 It might be time for a new bike computer for Bowral! Here we look at the two most recent and cost-effective additions to the WAHOO lineup, the ELEMNT MINI and ELEMNT BOLT. Wahoo Fitness recently introduced a third cycling computer to the lineup, the ELEMNT MINI complimenting big brothers the ELEMNT BOLT and original ELEMNT. Tiny in size and weight (and price at $149) but packed with features, the all-new ELEMNT MINI is a standalone wireless bike computer that synchs with the ELEMNT companion app. Together they offer a full suite of ride data including cadence, heart rate, call/text notifications and a live tracking capability. GPS is handled via your synched mobile phone, everything else is done by the small but smart unit. The ELEMNT MINI battery runs for 300hrs before replacement is required. The ELEMNT MINI is equipped with a simple two-button interface and a 45.7mm diagonal LCD screen. It weighs just 31.2 grams. It is designed to seamlessly connect with all Wahoo sensors including the RPM Speed Sensor (included with the ELEMNT MINI), the RPM Cadence Sensor and the TICKR Heart Rate Monitor (sold separately) for cyclists. The Wahoo ELEMNT MINI is now available at all Wahoo retailers across Australia for the RRP of $149.95. 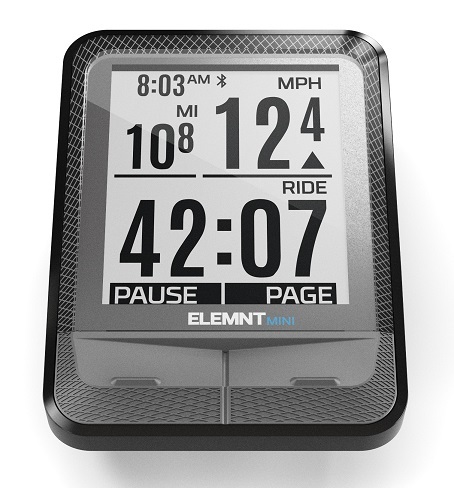 The ELEMNT Bolt is the first GPS cycling computer to feature an integrated mount system – a configuration Wahoo say drastically reduces drag. Wind tunnel tests show a staggering 12.6-second time reduction over a 40-kilometre time trial course for a rider traveling at 33 kilometres per hour! “In recent years, the sport of cycling has placed a premium on the study of aerodynamics and gaining a mechanical advantage wherever possible,” said world-renowned cycling aerodynamics expert Dimitris Katsanis who worked with Wahoo on the Bolt project. Other than it’s aerodynamic attributes, the Bolt features a high-contrast 2.2-inch display and QuickLook LEDs introduced on the ELEMNT. It provides the user with easy access to relevant ride data along with call, text and email notifications if desired. The unit is equipped with WiFi, ANT+ and Bluetooth, allowing it to connect to sensors of all kinds and all electronic shifting systems. The units come pre-loaded with maps from around the world and seamlessly integrate with Strava Live Segments. One of the most popular new product releases of the year, the ELEMNT Bolt retails for $399.00.